^ Eduardo Francisco Rêgo - On the Mechanics of the Poincaré Conjecture an Heuristic Tour. Freedman, Michael Hartley (1982). “The topology of four-dimensional manifolds”. J. Differential Geom. 17 (3): 357–453. http://projecteuclid.org/euclid.jdg/1214437136. Perelman, Grisha (2002年11月11日). “The entropy formula for the Ricci flow and its geometric applications”. arXiv:math.DG/0211159. Perelman, Grisha (2003年3月10日). “Ricci flow with surgery on three-manifolds”. arXiv:math.DG/0303109. 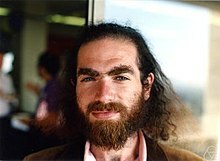 Perelman, Grisha (2003年7月17日). “Finite extinction time for the solutions to the Ricci flow on certain three-manifolds”. arXiv:math.DG/0307245. Smale, Stephen (1960). “The generalized Poincaré conjecture in higher dimensions”. Bull. Amer. Math. Soc. 66 (5): 373–375. http://projecteuclid.org/euclid.bams/1183523693.